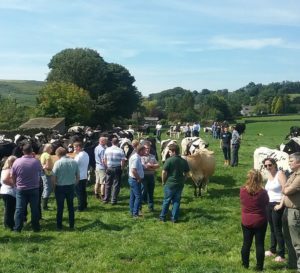 At 11am people started arriving from all over Yorkshire and Lancashire and soon we had quite a big crowd trying free range milk from Stephenson’s Dairy and Dales Dairy, looking forward to hearing more about Free Range Dairy Network and the work we’re doing to bring Pasture Promise free range milk to the market. Farm events are a great way to get likeminded people together who care about animal welfare, sustainably sourced milk and want to keep our cows in fields and farmers in business. We had people from universities, catering companies and milkmen running doorstep deliveries. 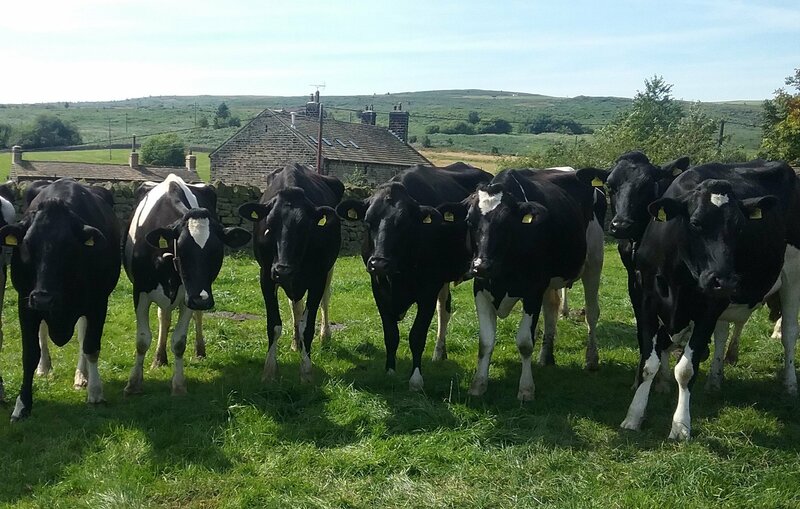 It’s great to see a renewed interest in local doorstep deliveries in the North and Pasture Promise is proving to be a great way for milkmen to reconnect with their local customers delivering local free range milk. We had some guest speakers with Emily from World Animal Protection talking about their campaign called Full Fact Milk which included information from a YouGov poll they conducted about cows and grazing. It found 86% of adults agreed that dairy cows should be able to graze outdoors and 72% were concerned about the welfare of cows living indoors permanently. We also heard from Martina from the Sustainable Restaurant Association and why they are supporting Free Range Dairy Network. They see it as a way to bring ethical milk to the market that is from low input, sustainable farming system. 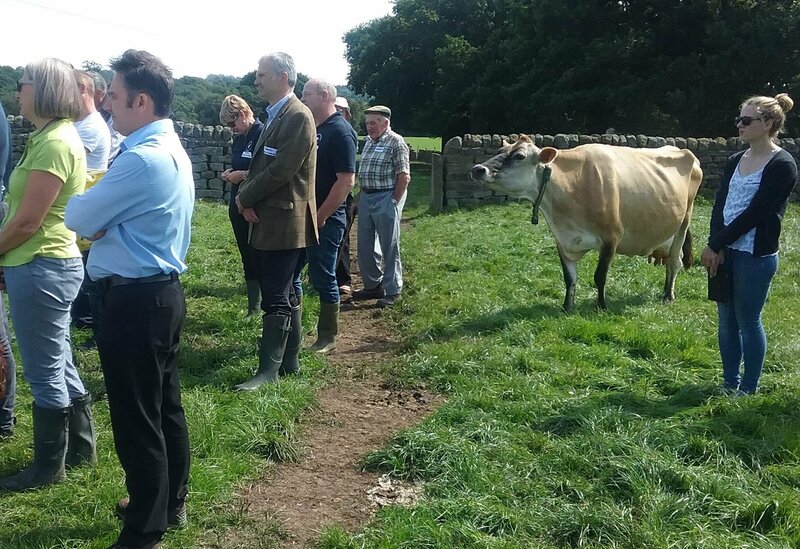 For their organisation Pasture Promise free range milk ticks many of the boxes on sustainability as well as offering a mainstream answer to sourcing ethical milk. In the UK we have an abundance of pasture which cows turn into nutritious milk. As we look at how we can feed a growing population whilst protecting our environment, we need to employ farming practices like Free Range Dairy Network. We want to utilise natural resources like pasture and work with nature and not against it to produce milk. The best way to ensure we are really utilising pasture is to make sure that cows get to graze for at least six month of the year and we believe to call milk free range it should guarantee just that. That way cows will spend at least half of their lives outdoors on pasture producing great tasting milk as well as playing their part in supporting biodiversity and the environment. 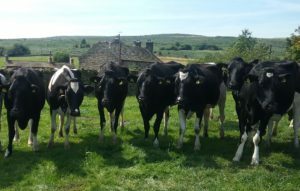 Please can you use #180days to support our call for free range milk to come from cows that graze for at least six months and you can also make the Pasture Promise if you want to know how your milk was produced.